I'm trying to reclassify the pixel values of NLCD_2011 data to a binary representation of developed vs. undeveloped land. I've tried doing this, in python, using the 'Map Algebra' method, which ESRI documentation seems to deem preferable, and by just calling up the reclassify function. With both approaches the same thing happens, the function runs as expected, but when I load the output, it seems like the actual pixel values aren't changed. 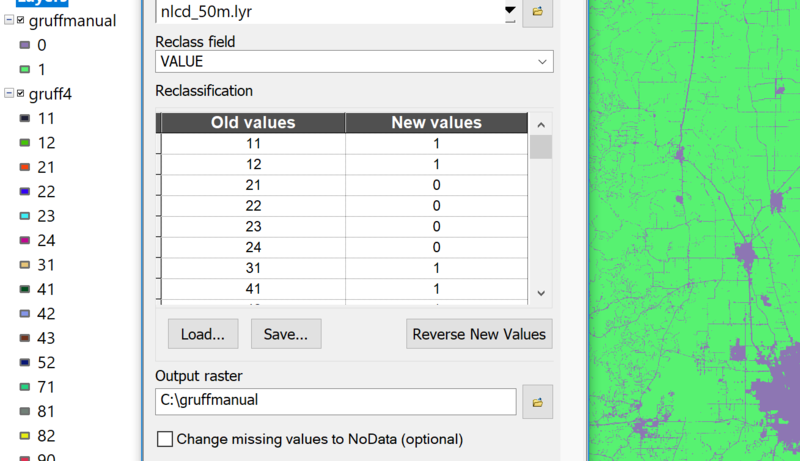 The only difference I can see is that the only remaining field is the field I targeted for remapping. I tried doing the same thing in ArcMap, and it worked successfully. I can't figure where I am going wrong trying to recreate my successful manual execution of the task in python. I had my remapping value saved as a string rather than a list. I'm not sure how the function was running with the wrong input, but by changing the remapping value to a list it worked perfect! Not the answer you're looking for? 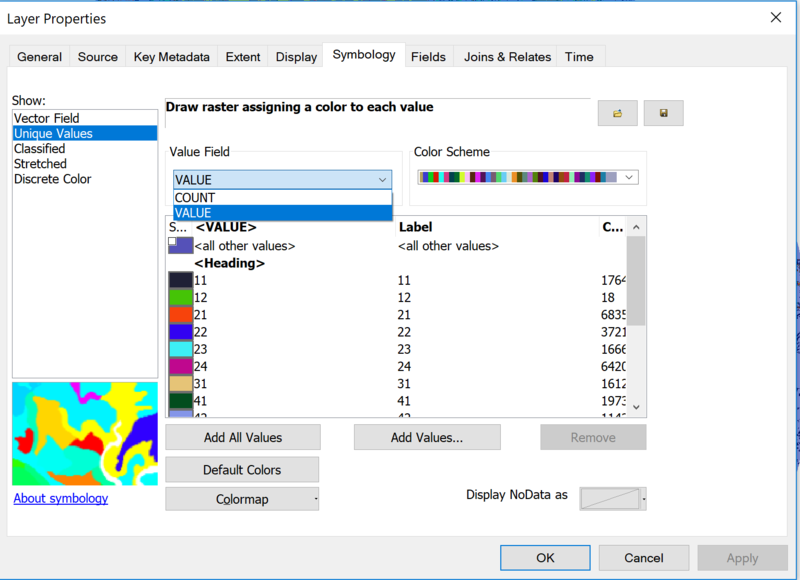 Browse other questions tagged arcgis-desktop arcpy reclassify map-algebra or ask your own question. Understanding EOL while scanning string literal from Reclassify in ArcPy? Reclassify label display using ArcPy?